September already?! What?! I am not ready for summer to be over so good thing its been hot as balls this week. Before I go into things I’ve been loving this week I’d like to first point out that I loved that it was a short work week. Usually short weeks drag by but this week zoomed by! It’s the little things that make me happy. Now, onto some other things I have been loving this week. I love burritos (and most other “Mexican” food). I love that Boloco has mini burritos so I can eat one and not immediately feel like I have to run a triathlon to burn it off. I love free things. So really, this is the best possible thing that has happened to me EVER this week. 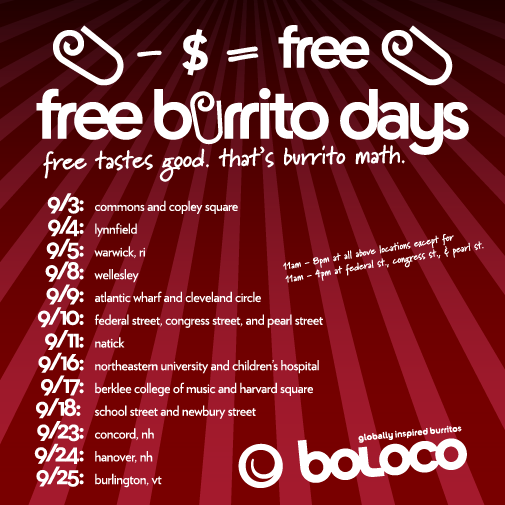 If you live in New England and love a good burrito, visit your nearest Boloco on their free burrito day and hook yourself up! This is truly a gem. I’ve been listening non stop for a couple weeks now and I love every second of it. I find myself laughing out loud while walking to and from work, on the train and sometimes at work. Its that good. Jill and her co-host, Janis, discuss everything under the sun so each show is completely different. Love it. Keep up the great work Jillian! I made the switch from the purse I’ve been toting around since Christmas to this new bag. Calling it a purse would be an understatement because I could legit pack for a weekend in this bad boy and still have room for more. Note – I stuffed my free burrito in it above. It’s gigantic and I love it! It came in my August Fix (which I kept everything from) and I raved about it to my stylist. It can be worn as a cross body or carried as a tote making it perfect in all ways. I did not take as much advantage of these as I should have but I did get some things I have been wanting but didn’t want to fork over the cash for. Both of my buys were from Old Navy on Monday and I can’t wait to wear them both. First this red chambray button up. I bought the blue on last season and I seriously live in it. My mom has always told me I look good in red so I went with the red. I also snagged these Active Compression Leggings and I am already wishing I had purchased two pairs. Solid chance I start living in these once the fall and winter roll around. And that’s a wrap for this week. I am really looking forward to this weekend because SL and I have some fun things on the docket. I’ll be sure to recap on Monday. Hope you have a awesome and active weekend! Are there any great Labor Day sales still going on? Old Navy is doing 20% off until Monday with code SAVE. Maybe I will order another pair of leggings! 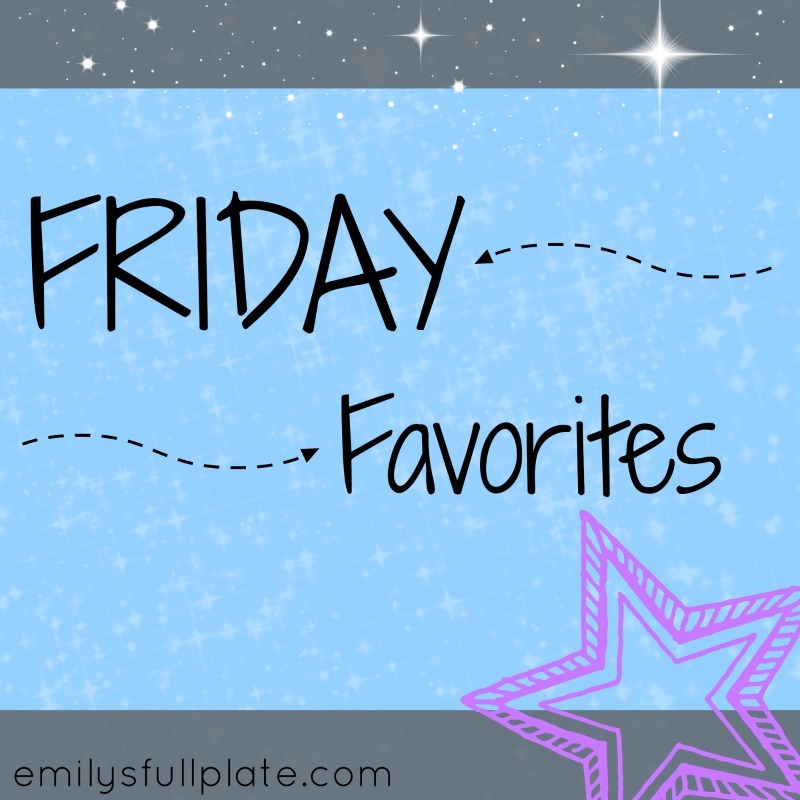 Ohhhh great favorites!!! I love all of the Labor Day sales going on!! Ohhh yes!! XOXO!! Have a fabulous weekend!!! Love that StitchFix purse! I just received my September box and need to make some decisions! Also, free burritos?! AHH! Free burritos in my big purse for the win of the week!